I tried thee earlier this year but the clamping force on my big head was unbearable. Amazing price though, almost worth buying and trying to modify cause if I mess up it's not a huge loss. I tried thee earlier this year but the clamping force on my big head was …I tried thee earlier this year but the clamping force on my big head was unbearable. Amazing price though, almost worth buying and trying to modify cause if I mess up it's not a huge loss. Stretch them over a box for a couple of days. It should sort it out. Sounds a bit pervy but you know what I mean. These are VERY good for the money, I have a few pair of hi end headphones and still love listening to these....The soundstage is fantastic. What shipping option is a good pick? Gonna get another pair as a spare! What shipping option is a good pick?Gonna get another pair as a spare! Stretch them over a box for a couple of days. It should sort it out. …Stretch them over a box for a couple of days. It should sort it out. Sounds a bit pervy but you know what I mean. Yeah I think I'll give that a go, maybe add some heat to make it a permantny chance in shape. I bought these on ebay a few years ago for £15 or so, they were so good I bought a second pair...they're still going strong. Does anyone know if the cable detaches from the headphones, I'm guessing …Does anyone know if the cable detaches from the headphones, I'm guessing they don't? Are these actually notice cancelling or are they just saying that because they cover your ears when you put them on? 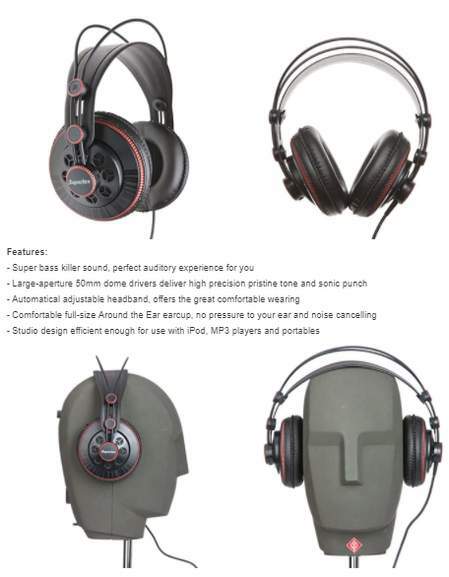 Are these actually notice cancelling or are they just saying that because …Are these actually notice cancelling or are they just saying that because they cover your ears when you put them on? 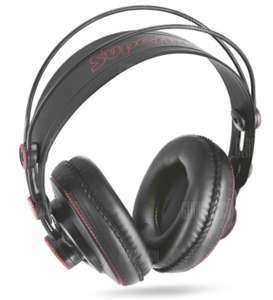 They're open backed so noise cancellation is minimal, but in turn the soundstage is more open. For the money these headphones are fantastic and I paid £35 for them, though bass can need a little tweaking. I've had a set for at least 2 years now as my primary PC headphones and still haven't found anything I'd even consider replacing them with. I have the Evo version of these - fantastic headphones at an incredible price. I have 25x more expensive headphones - Sennheiser HD600, Audio Technica R70X - the Superlux can hold their own compared to them. It says this to me. Perhaps I missed the offer because a "flash sale" now offers them at $19.99?